TeleBeam is installed from the outside from scaffolding (only access to one side of the eaves is needed, normally the side that the roof lights or dormers are to be provided). 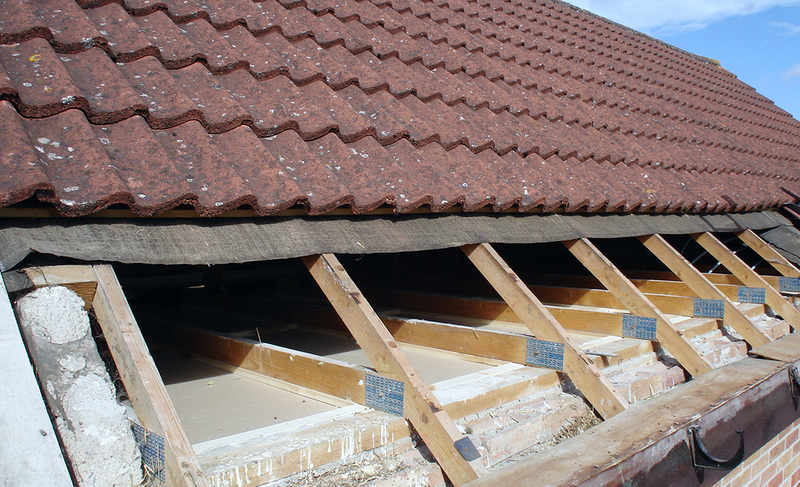 It requires only three rows of tiles to be removed to allow insertion of the beams. 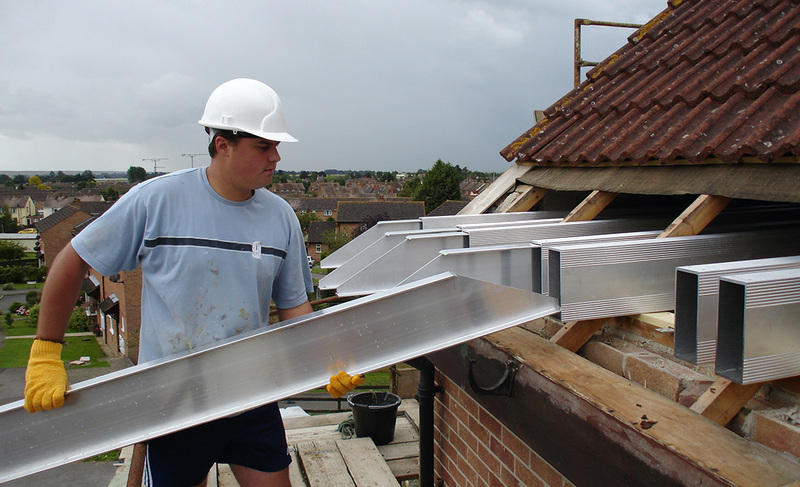 Telebeams being inserted into roof space. TeleBeam is manufactured from high strength extruded aluminium and is therefore light and easy to manhandle, drill and cut. 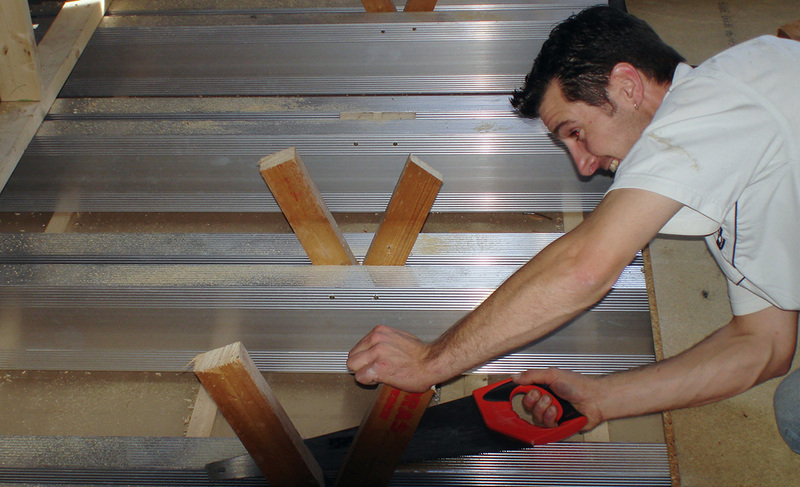 TeleBeam requires no temporary propping or support as it is installed entirely before any of the ‘W’ braces are cut out from the trusses.Vertical stud walls are formed to support the rafters and then the braces can be cut out. Braces are cut out roughly and then trimmed off neatly. 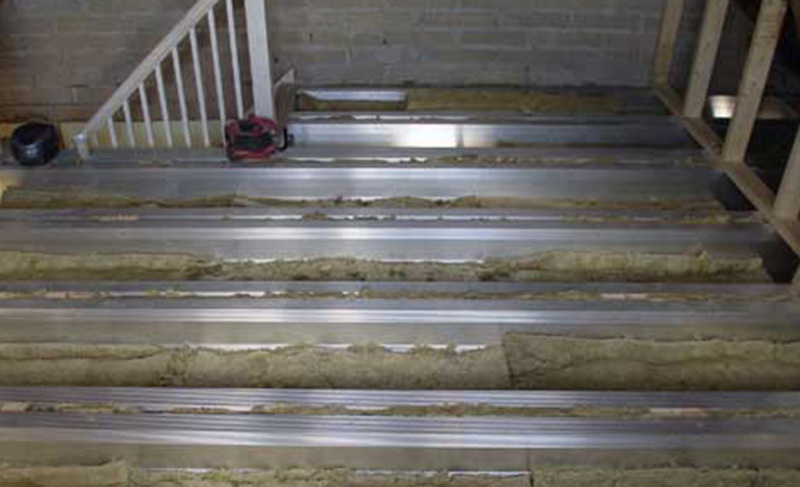 After removal of the braces the flooring is fixed directly to the TeleBeams - there is no need for any additional floor joists. Telebeam system installed and sound insulated ready for laying of flooring. The final result. A light and airy room. 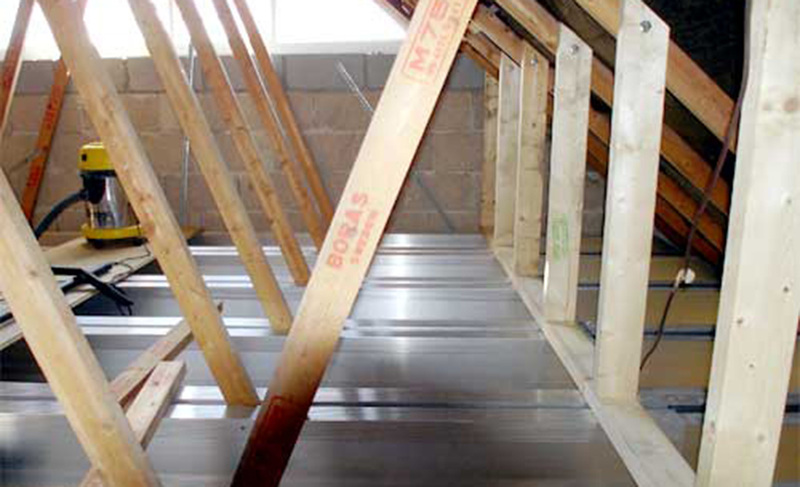 Use the step-by-step links on this page to see a case study of a typical two bedroomed house which has recently had a TeleBeam system installed providing a vital third bedroom and additional WC Cloaks in the roof space. It has transformed the feeling of space in the property and provided much needed extra accommodation quickly and in a cost effective way. This improvement has considerably enhanced the value of the property without the cost and hassles of moving. 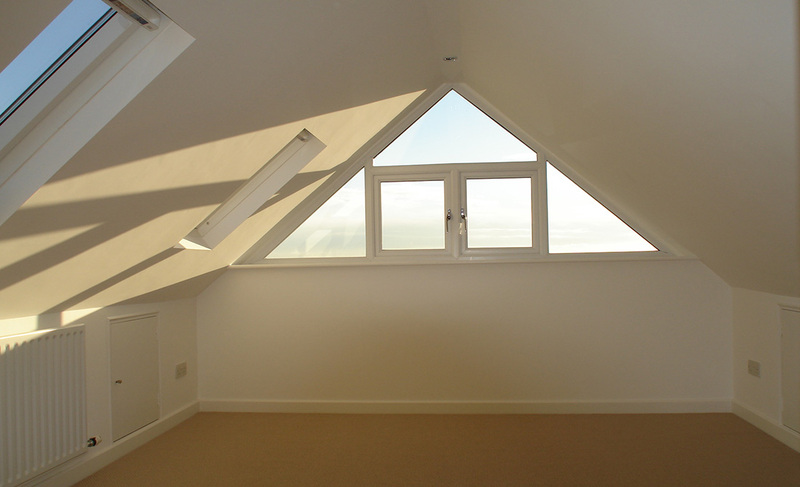 The conversion has unlocked a dark uninviting roof space into a light and airy bedroom full of character and charm and benefits from a full size staircase access making the additional space feel fully integrated with the rest of the house. No planning permission was required for this work, only Building Regulation Approval, and this was automatically accepted because Telebeam has Building Control National Type Approval from Local Authority Building Control (LABC). The previous owners had applied for planning permission for a conventional two-storey extension and permission was refused.